So many of Cleveland’s neighborhoods are defined as food deserts, with just 25 percent of residents living within a five-minute walk to a full service grocery. Hence, thousands of area residents lack access to fresh fruits and vegetables and other resources to ensure healthy eating. 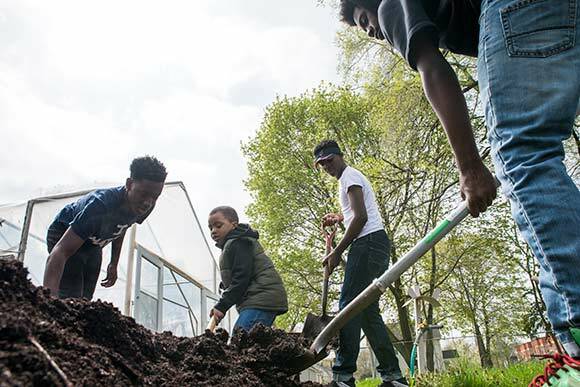 While agriculture and farming are not the first things that come to mind when defining Cleveland's urban neighborhoods, grass-root efforts at points across the city aim to turn those food deserts into oases of fresh produce. Three Cleveland farmers in particular are offering up the food they grow on their compact urban plots. Not only are they solving the problem of food access, they are teaching the next generation how to grow their own food and the importance of nutritious food and a healthy lifestyle. After a 30-year career in healthcare, Tanya Holmes was forced to retire because of back problems. She began looking for a way to assuage her depression and began making gift baskets. Then after seeing the needs of the Central neighborhood while working on the 2008 Obama campaign, Holmes got into farming. 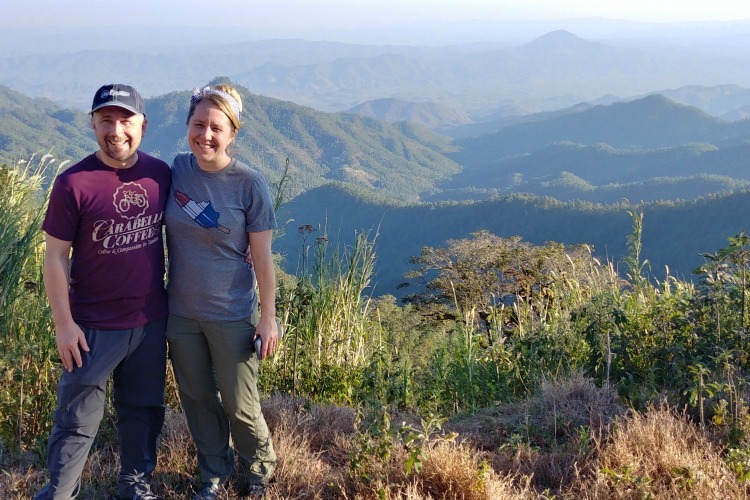 With that observation and her husband’s landscaping knowledge, Holmes set out to change the Central neighborhood with Ka-La Healing Garden and Resource Center in 2011. Named after the Hawaiian mountain, Haleakala, which means “house of sun,” Holmes’ garden grows eggplant, tomatoes, zucchini, cucumbers, lavender, ginger and more on her tidy half-acre. There are picnic tables, and a meditation area. 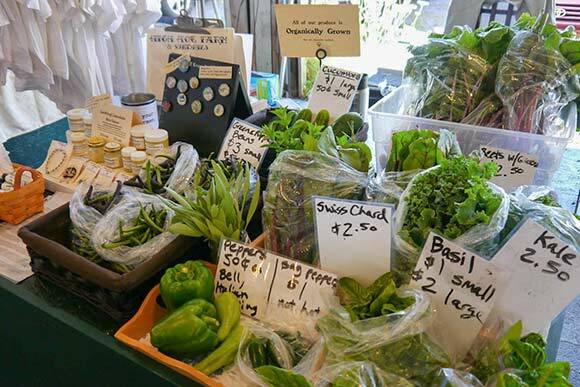 Holmes also runs a farm stand from 9:30 a.m. to 2:30 p.m. on Saturdays in the summer. Holmes received a grant from Farm Credit Mid-America to build a sign and hire Amish workers to build a shed on the lawn. 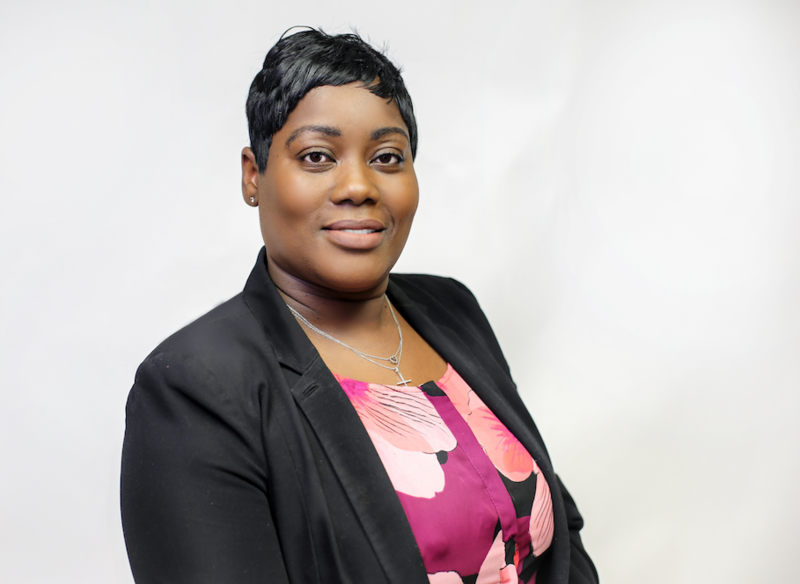 Last year, the State of Ohio gave Holmes the Minority Small Farmer of the Year award for her efforts. When she first started, Holmes was giving away her food to people in her neighborhood who said they couldn’t afford to buy it. “Over the years people would say ‘Miss Holmes we can’t afford vegetables,’ so I’d give it to them,” she says. Starting this summer, Holmes will be able to accept the SNAP (supplemental nutrition assistance program) card and food vouchers given to senior citizens on a fixed budget. Holmes also taught the students the importance of eating healthy, how to identify seeds and other sustainable practices such as how to compost. She even had them bring in their own food scraps for the compost pile. This summer Holmes will host 12 Y.O.U. students. Holmes also partners with the Greater Cleveland Food Bank, providing Sunday lunches to Y.O.U. participants and other youngsters in the neighborhood. Members of Cleveland City Council and officials from Washington, D.C. have come to view Holmes’ success at Ka-La Healing Garden. The center has even been a stop on a Lolly the Trolley Tour, during which Holmes handed out bags of basil. Ever since she was a child, Blayne Hoerner Murray has enjoyed gardening. As an adult, she's worked at community gardens and gotten involved with the Coit Road Farmers Market in East Cleveland. 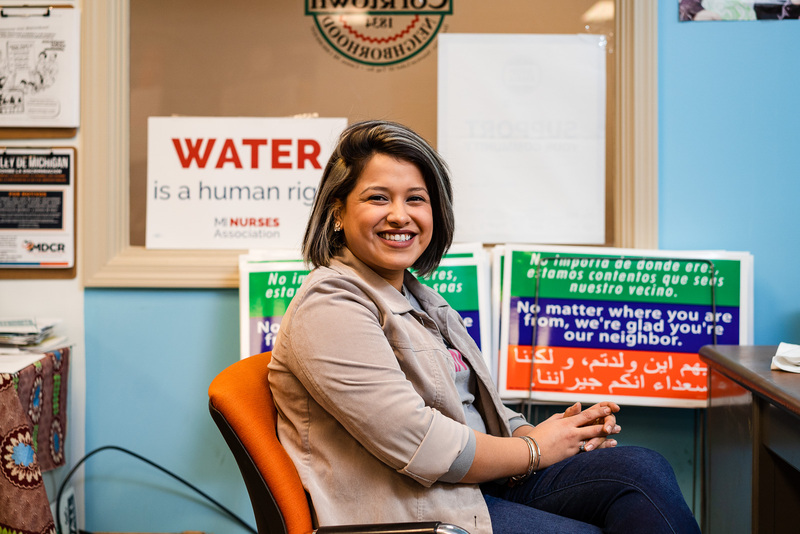 Hence when the Coit Road Market board president asked her if she would like to be part of the co-op program across the street, the Cleveland Heights resident jumped at the chance. For the past four years she’s been running High Hoe Farm and Sundries on part of the 1.75 acres that formerly served as an overflow parking lot for Coit, which is the oldest farmers market in Cleveland, dating back to 1932. Hoerner-Murray tends to 26 raised beds on the land with partner Karen Pappaleo Shumaker. “I’m not a morning person so she comes in early,” says Hoerner Murray. “She sits in the booth at the market and I run around weeding.” A third farmer, Gloria Jalil, tends to her own beds on the land and also has a stand at the market. Hoerner Murray's claim to fame is her shishito peppers, which are Japanese sweet peppers that occasionally have a spicy one in the bunch. “It’s not a hot pepper, but one in every dozen or so will be hot, so it’s kind of Russian roulette,” she says, adding that one year when she grew the peppers from the previous season’s seeds, she wound up with something that resembled a cross between a shishito and a jalapeno pepper. “I called them ‘ohshito peppers,’” she jokes. 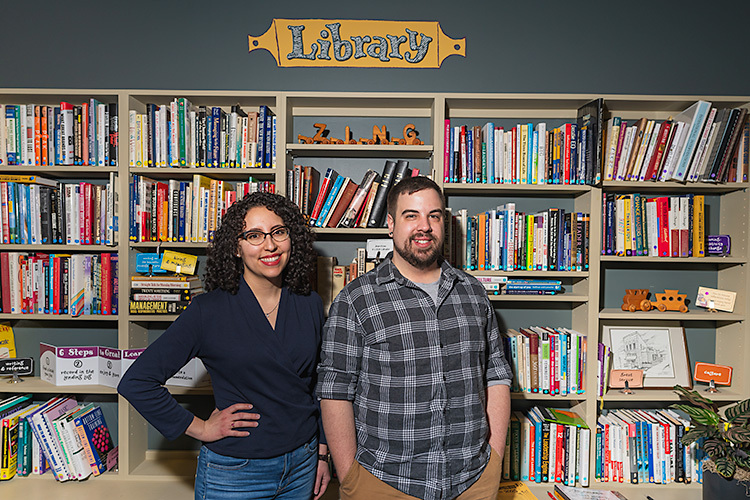 In the winter months Hoerner Murray and Pappaleo Shumaker sell homemade products like skin salve, lip balm, soap and fruit leather, which provides the means to operate year-round. "This is an imagination farm." In 1994 Erich Hooper was looking for a way to pay for his daughter’s education at St. Mark’s School. “So I started cutting down trees and started growing food,” he recalls. 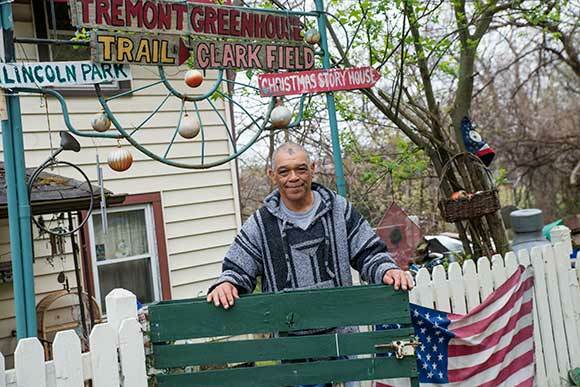 The former chef began farming on his one-acre plot on 2835 W. 11th St. in Tremont. With that, Hooper’s Farm was born and Hooper takes credit for founding more than 12 farmers markets, festivals and fairs throughout the city. He’s been a Tremont resident since 1966, having moved to the neighborhood after the Hough riots. “We were the third black family in the neighborhood,” he recalls. While Hooper runs a farm stand in front of his house, he doesn’t sell his produce at the farmers markets and festivals any more, citing the politics and fees associated with many of the organizations. His efforts over the years have also attracted schools and neighborhood kids. Ever since he started the farm, Hooper’s goal has been to educate area youth about where food comes from and how to grow. “There’s nothing more pleasurable to me than seeing a kid picking something out of the garden and eating it,” he says. Although school groups don’t come as often these days, Hooper still has a steady stream of Cleveland kids coming to visit. He operates Hooper’s Farm entirely from his own funds and donations from community members and friends. He also periodically solicits investments from celebrities such as Steve Harvey, Arsenio Hall and Oprah Winfrey; and local chefs Michael Symon, Rocco Whalen and Ricardo Sandoval. The Cavaliers fan and former mascot even recently contacted LeBron James, in hopes that the common mission of helping Northeast Ohio children create quality lives for themselves would spur his foundation to make a donation. He has yet to hear word. For instance the farm sells coffee mugs and bowls his students crafted at friend Teresa Skaggs Polk’s Pottery and Clayworks Studio in Parma. Also for sale at the farm are the musical walking sticks Hooper taught the kids to craft out of branches and beer bottle caps donated by the neighborhood bars.